Our Species of the Week this week is Ash! Ash lumber machines well, with good performance in nailing, screwing, gluing and can be stained and polished to a very good finish. Black stained ash has experienced several successful fashion cycles in furniture. The wood dries fairly easily with minimal degrade. With good stability there is not much movement in performance. 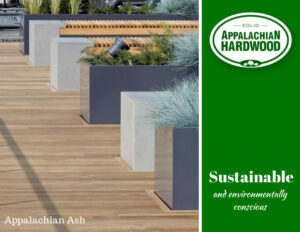 Ash veneer laminates well to board materials. 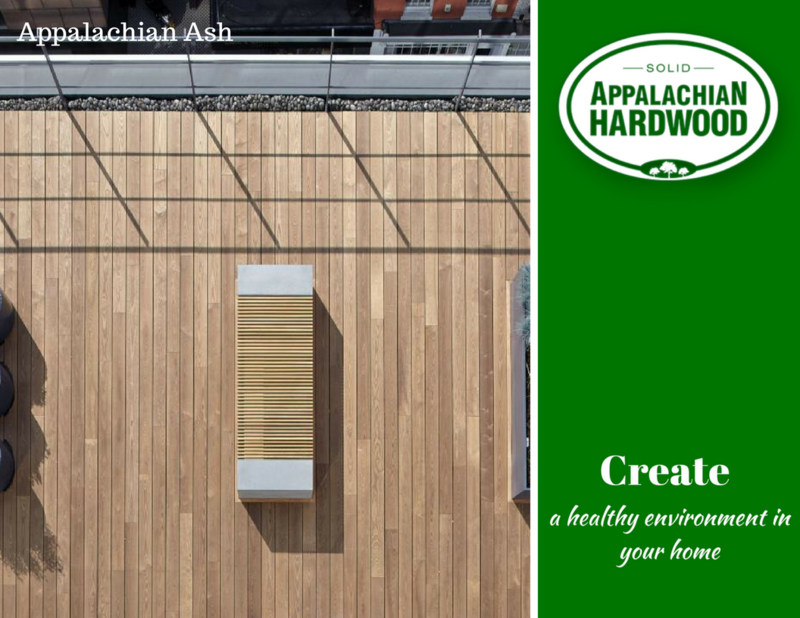 Ash is not resistant to heartwood decay and the heartwood is moderately resistant to preservative treatment, but the sapwood is permeable. 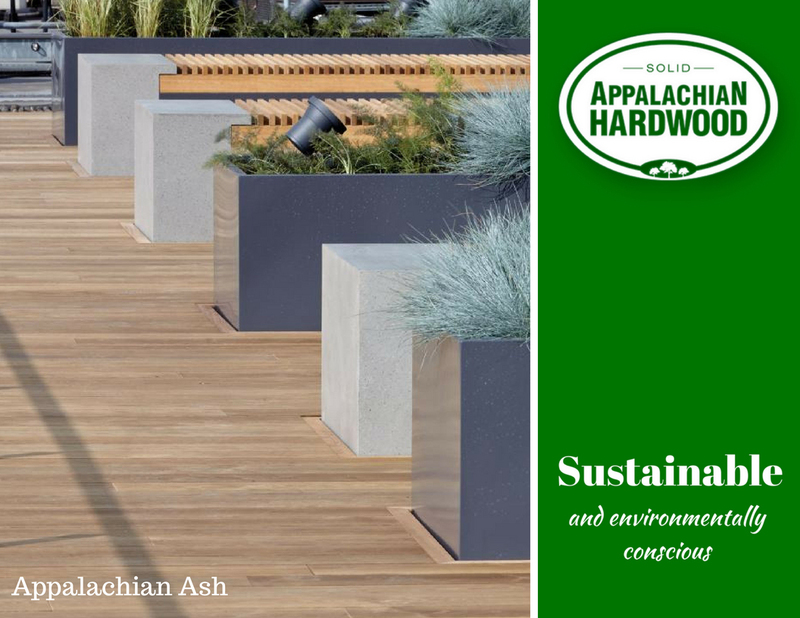 This makes ash very suitable for being thermally modified, as has now been proven through its widespread use for decking, cladding, worktops and garden furniture. American ash trees grow commonly throughout the eastern United States in mixed hardwood forests, from the north in New York State to the southern States along the Gulf of Mexico, and everywhere in between. They grow high in the mountains and low on the plains and coastal areas giving rise to great variety of character. 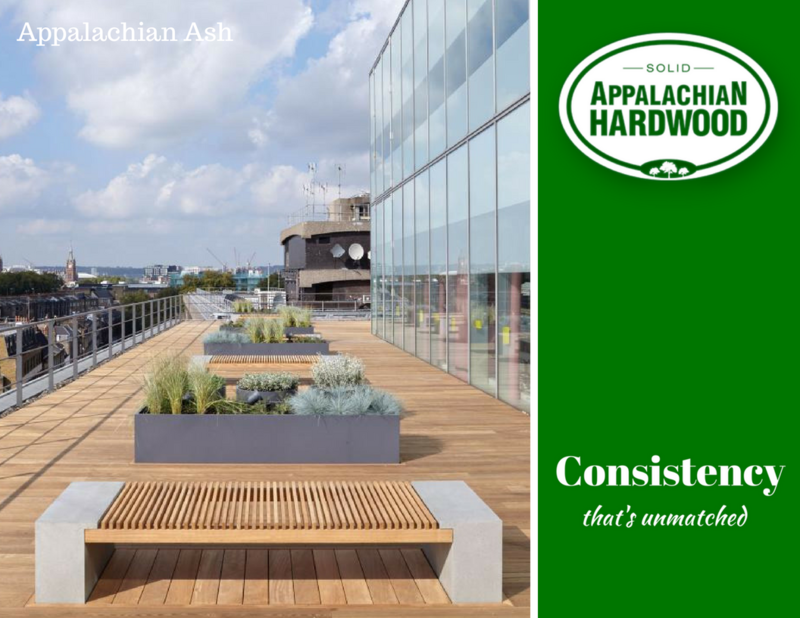 With such widespread distribution in latitude, climate and soil conditions, there are significant variations in ash depending on location, in particular between the slower grown northern and faster grown southern trees. There are also sub-species that add to this variety. Despite some longer-term threats by forest pests and disease to the ash standing stock of timber, ash is a prolific species. 200 Gray’s Inn Road redesigned landscaped terrace features thermally modified American ash (TMT).